To all UPWVT supporters, Maraming Salamat po! It was an uphill climb for the UP Lady Fighting Maroons. Getting into the Premier Volleyball League finals didn’t start with the commencement of the league. It dates all the way back to 1982, when UP won its last major championship. For 36 years, the collegiate volleyball team has poured blood, sweat, and tears to each game. Going through grueling trainings day in and day out to grab the elusive gold. For 36 years, the team has never stopped trying. With new roster faces and new opponents, supporters hoped they would reach the promise land. But as decades went by, the cheers got quieter and the seat attendance got fewer. But even as believers turned to doubters, there were those who stood by us; convinced that the UPWVT will once again beat the odds and win a championship. To those who believed, MARAMING SALAMAT PO! 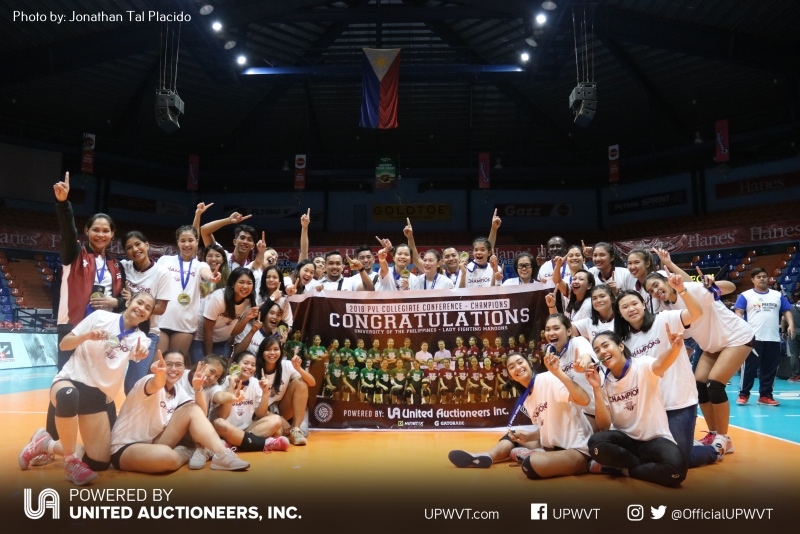 To Sir Dominic Sytin and the United Auctioneers Inc. family, thank you very much for believing in the team through the losses and now, the championship. For never doubting the ladies’ capabilities to win another title, even after 36 years of drought. For not only providing the needs of the team, but also for the moral support. We appreciate everything you have extended to the team, and seeing the UAI family at every volleyball match gives UPWVT the added motivation to continue. To UP Chancellor Michael M.Tan, President Danilo Concepcion, Varsity Sports Director Oscar Santelices, and Dean Prof. Ronualdo U. Dizer, thank you for all the help you’ve extended the team and for always making us believe that we are champions. We appreciate your never-ending trust and support. To the UP Women’s Volleyball Alumnae Association, for paving the way for us to achieve this feat, thank you! For keeping the champion mindset alive through all of the 36 years and for never backing down. You continue to inspire the UPWVT. To the entire UP community, thank you for your unwavering support. From CHK to the MOA Arena, you’ve been with us through everything and have been our biggest motivation. This championship is for each and every isko at iska! Taas kamao! To the UP Pep Squad and Drummers, salamat at hinding-hindi kayo nagpapahuli! Manalo, matalo, ramdam namin ang bawat sigaw at tambol nyo para sa amin. Maraming salamat! To the UPWVT fans, you’ve watched our games and cheered for us through the exciting wins and the heartbreaking losses. We appreciate everything you do for the team — from your simple gifts to your heart-pounding cheers. For all this, thank you very, very much! 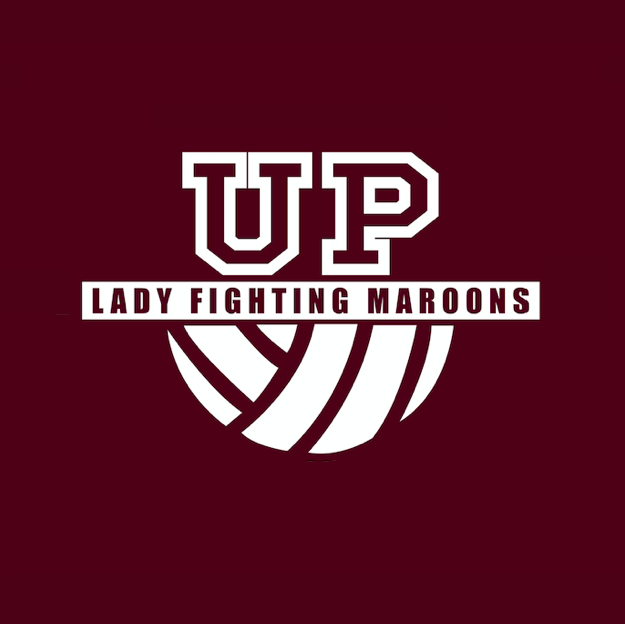 This championship is just the beginning of bigger things for the UP Lady Fighting Maroons. We promise to work much harder to make each of you proud. From the UPWVT players and management, maraming maraming salamat po! 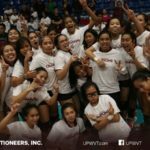 Here’s how you can win AUTOGRAPHED UPWVT Championship T-Shirts!